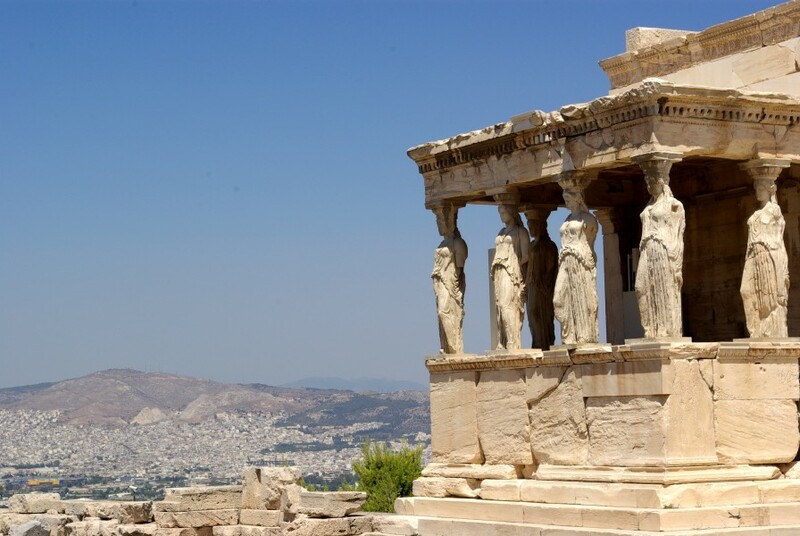 Among all our travels Greece is the most visited country (along with Italy). 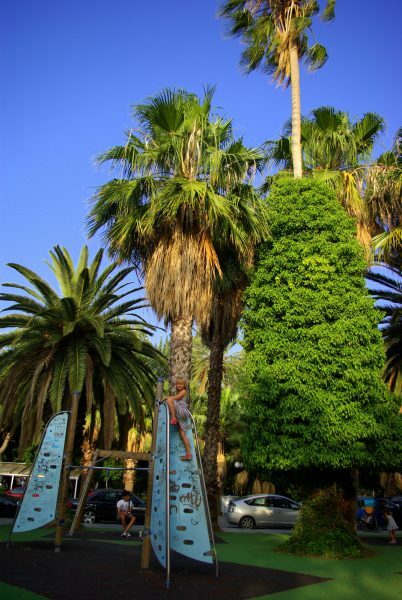 Because of its natural beauty, kindness of locals, tasteful food and even better atmosphere deserves our attention and a new visit. 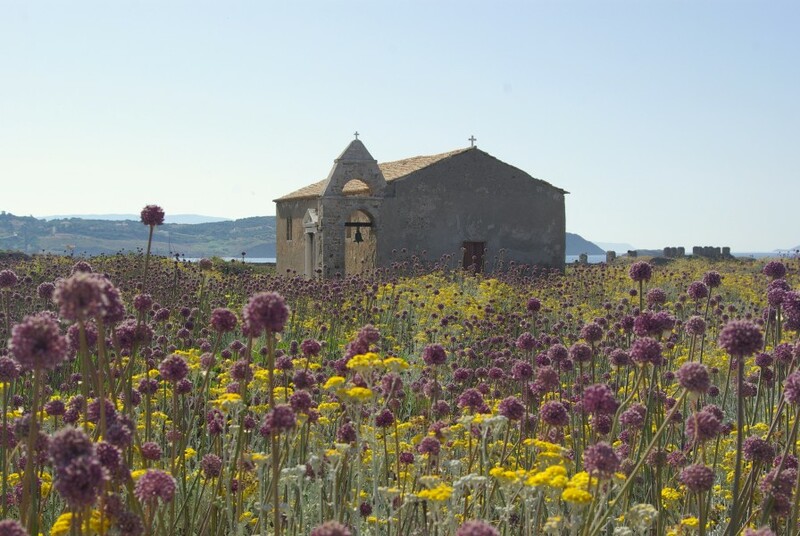 Peloponnese is one of the most beautiful parts of Greece along with wonderful NW part and Crete. 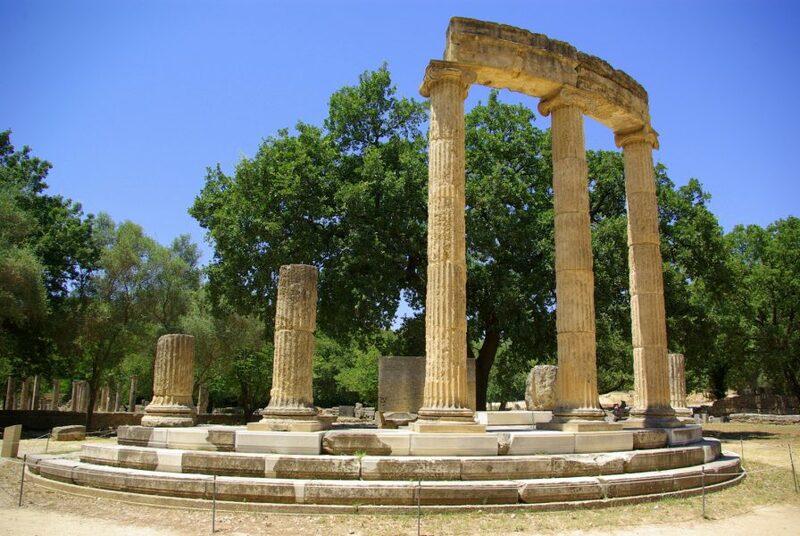 Someone could conclude too soon with an observation – oh, Peloponnese, I am not interested in history. 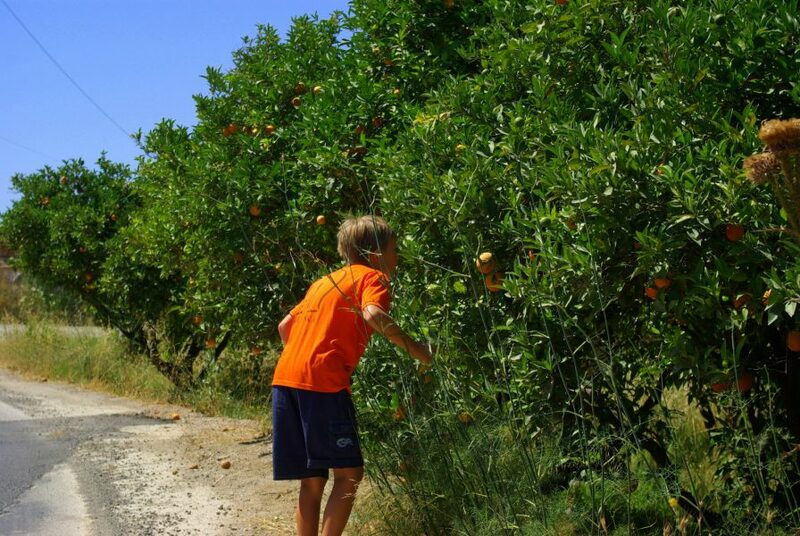 I have to admit that me neither, but Peloponnese thrilled me mostly with its beautiful nature. 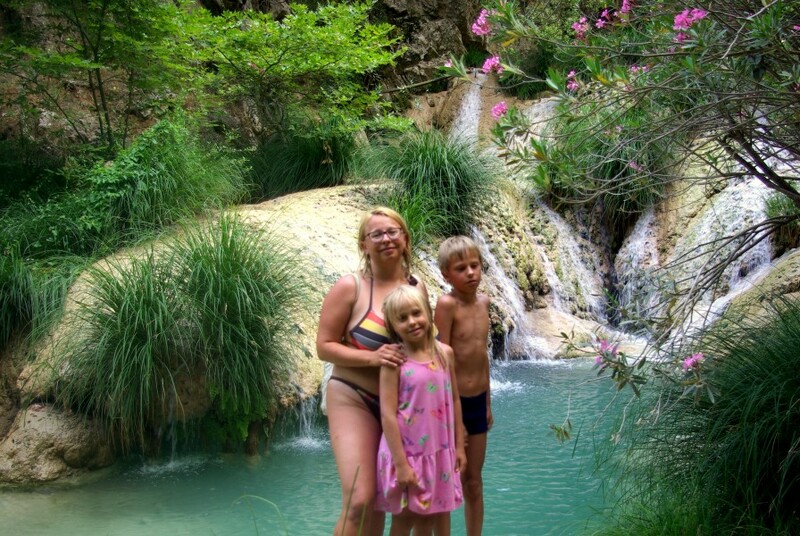 And when we were exploring Peloponnese, we had such a great time as hardly anywhere. I will present our route, but you can change it, of course. 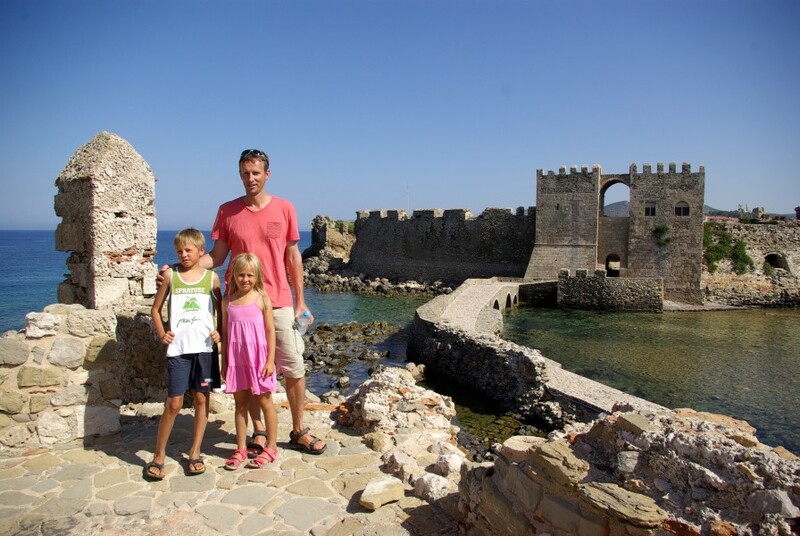 How to come to Peloponnese? 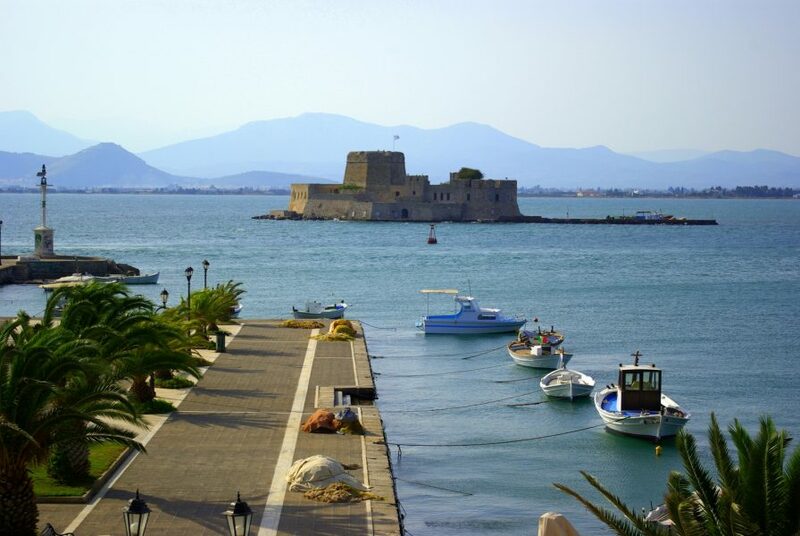 The starting point for exploring Peloponnese is harbor Patras or Athens. 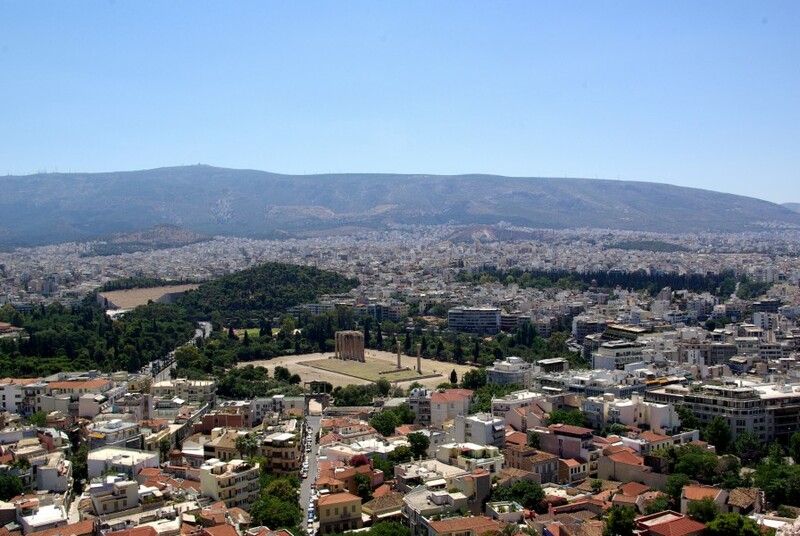 Athens are great because of many cheap flights that are available and because it is worth seeing Acropolis and old part of town named Plaka at least once in a lifetime. 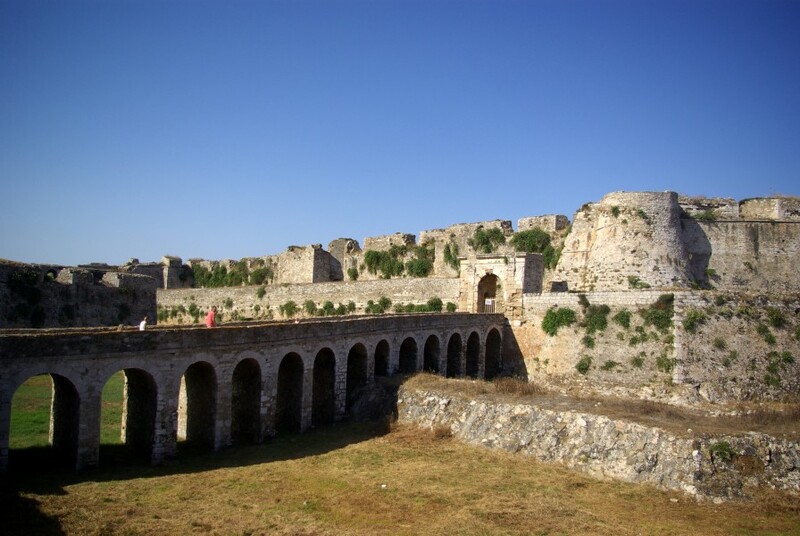 But if you want your journey full of adventures, you can go to the Peloponnese (Patras) by ferry that sails from Trieste Italy and takes about day and a half. We adore cruising by ferry (at least one way) and we recommend it, not only because it is affordable, but also because of that special feeling of more interesting journey. We recommend Anek lines, Minoan lines is also OK. 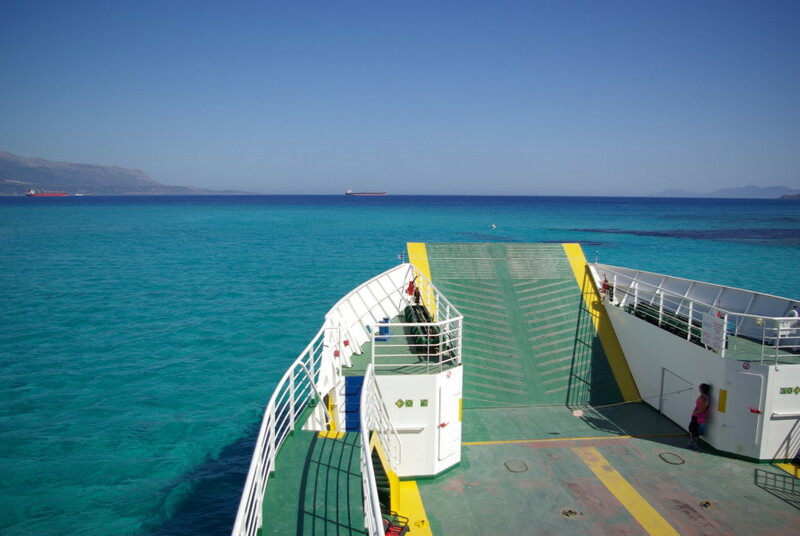 If you have decided to go to Greece next year, than it is recommended to buy ferry tickets in January as they are the cheapest. 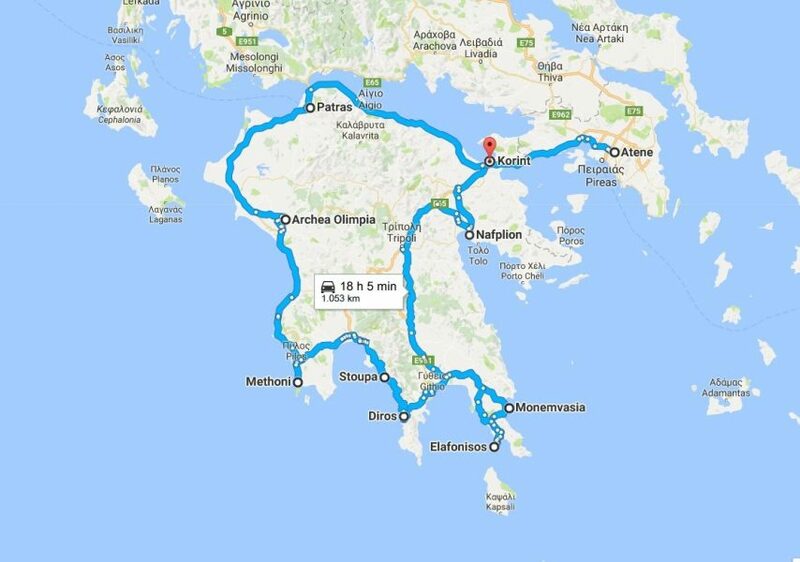 This year we paid only 2oo Euros for one way ticket to Igoumenitsa for a car and four persons, because we bought tickets in January. 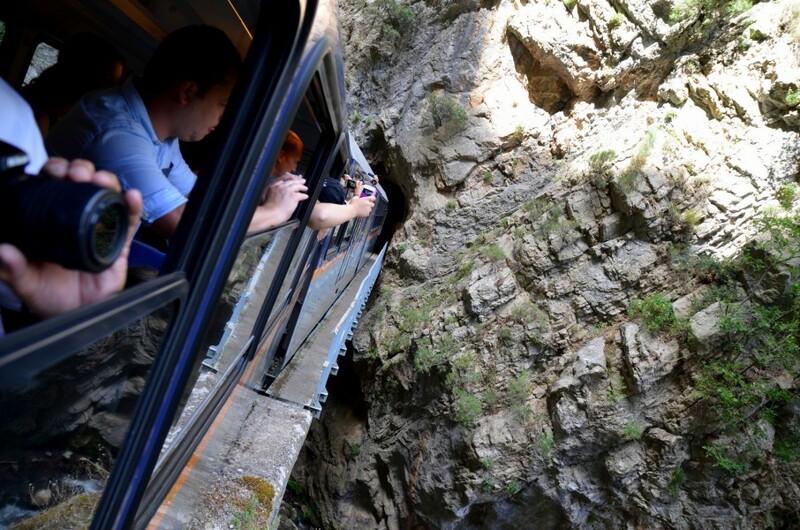 The trip is half day longer if you go to Patras, but still affordable if you buy tickets off season. If you are adjustable and you don´t seek luxury, than it is enough to buy ticket as deck passenger. All that you need is yoga mat and sleeping bag and adventure can begin. We always travel as deck passengers and we made “a bed” on soft floors, covered with carpet, in a room with plane seats. 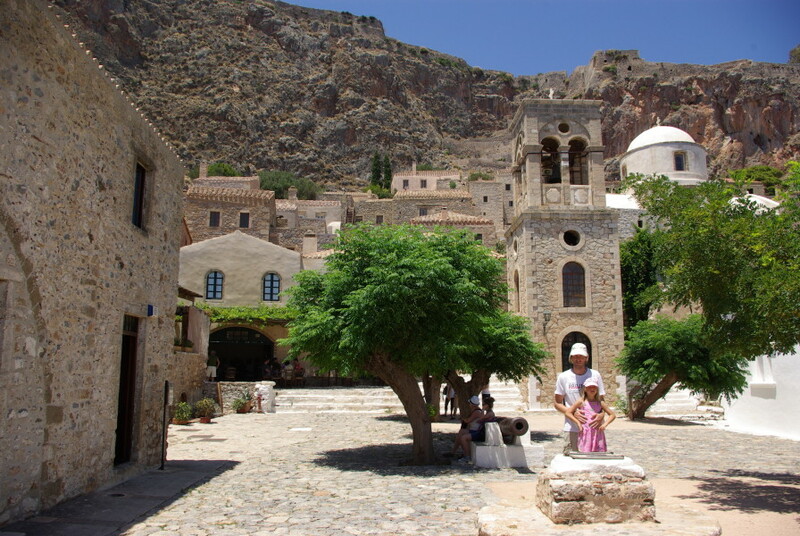 To travel around Peloponnese you need your own vehicle – rent a car if you flight to Athens, or your own car is you come to Greece by ferry. You can choose different kind of sleeping options on your trip as there are enough nice and cheap camps and accommodation. And the food is divine 🙂 . Even though we camp, we almost never cook by ourselves when in Greece, expect for breakfast and snacks, because we all adore tasteful and healthy Greek cuisine. 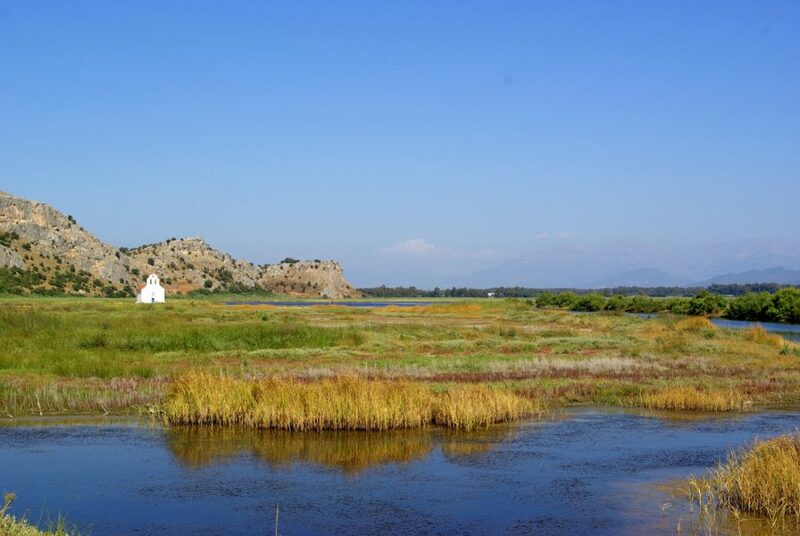 Our exploration of Peloponnese started at its north part in Diakopto, further to Athens and in clockwise direction around Peloponnese to Patras, where we sailed home by ferry. 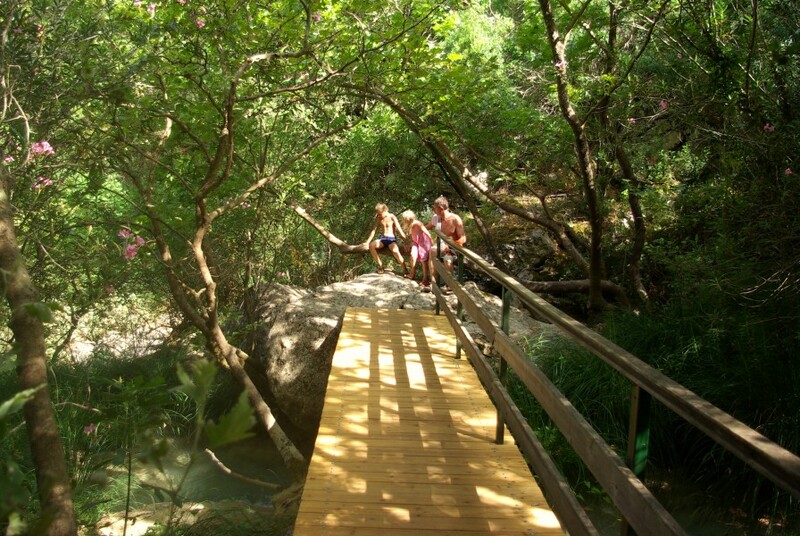 Many travelers combine Peloponnese with summer break on beautiful Lefkas, Kefalonia or Zakintos. 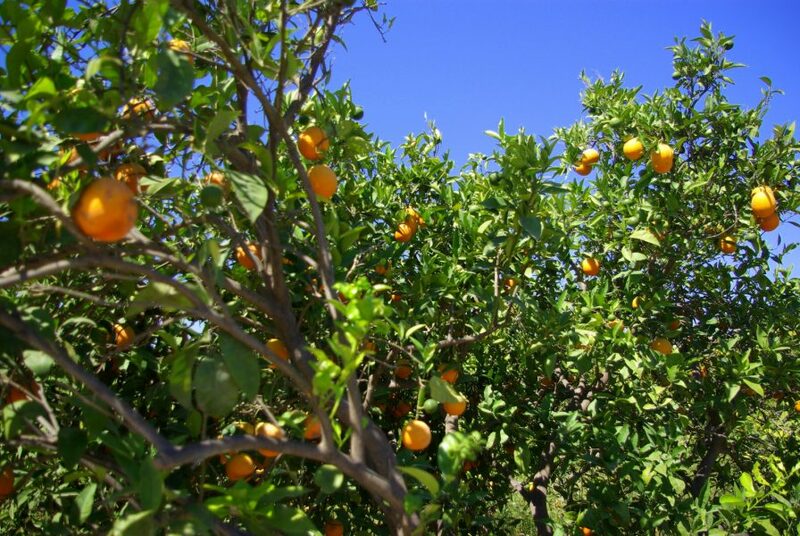 We haven´t been to Zakintos yet, but we have already been to Lefkas and Kefalonia and they are both beautiful islands. 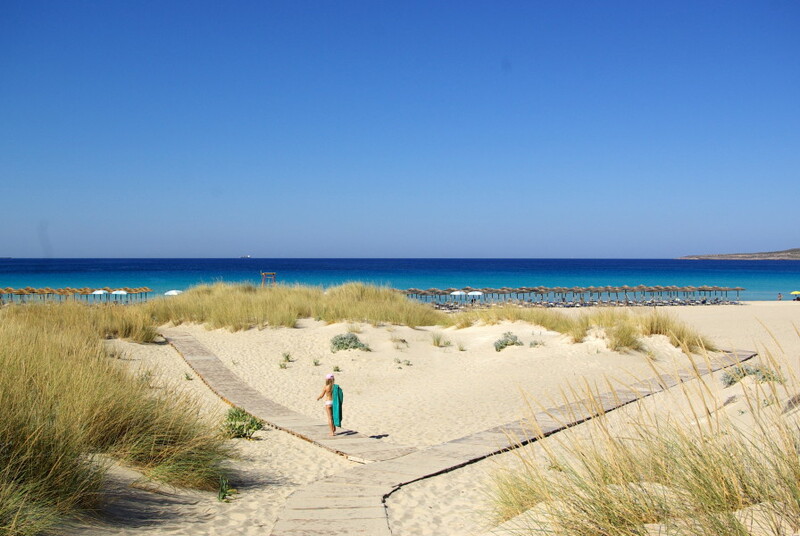 Lefkas enthused many to come back every year. There are so beautiful beaches on Lefkas that are hard to find anywhere else in the world, in Greece maybe just on Crete or Elafonisos. We checked 🙂 . 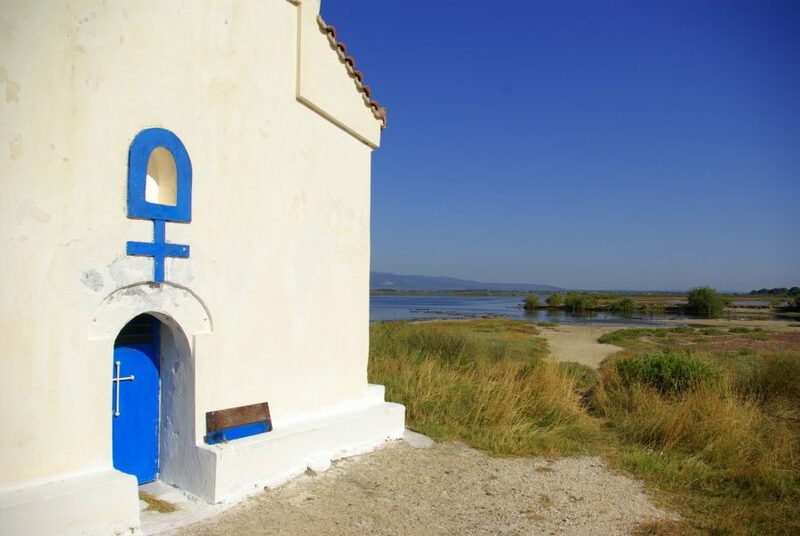 It you are really short on time than a week will be enough for round trip on Peloponnese, but we recommend two weeks because it’s really beautiful and worth of your time. 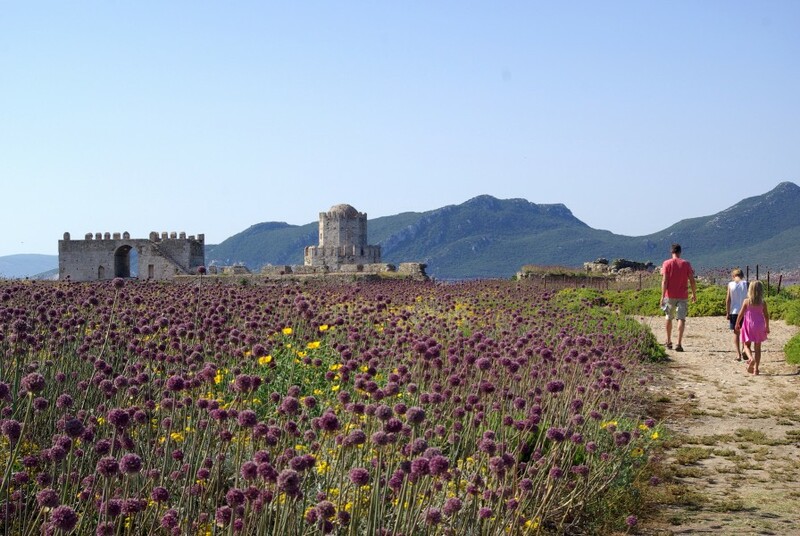 Diakopto was our first encounter with Peloponnese. 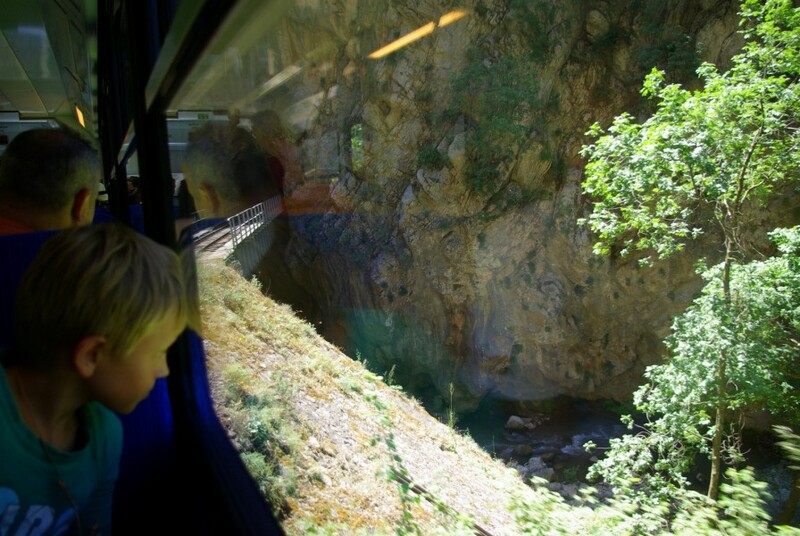 It is starting point to mountainous and idyllic Kalavryta, which can be reached by train (almost museum like) and rack railway. 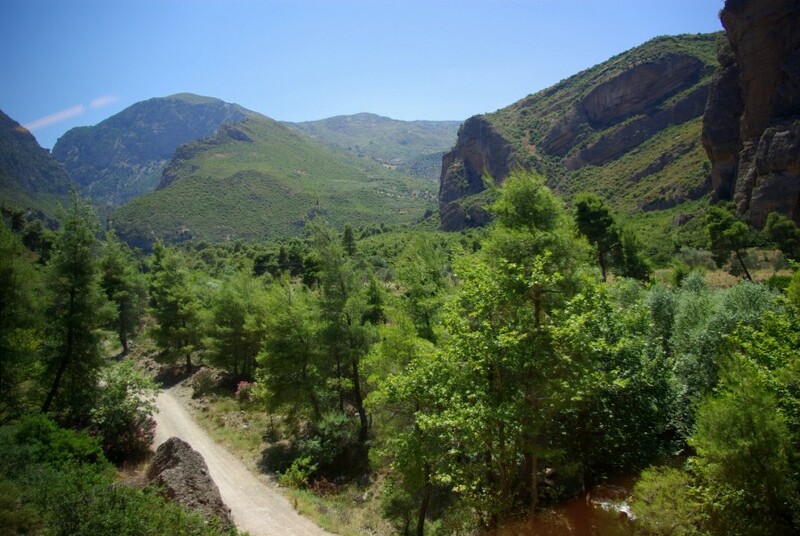 The path is really interesting, landscape is beautiful and unusual and even though we didn´t like Diakopto, was trip to Kalavryta and the railway drive worth visiting. 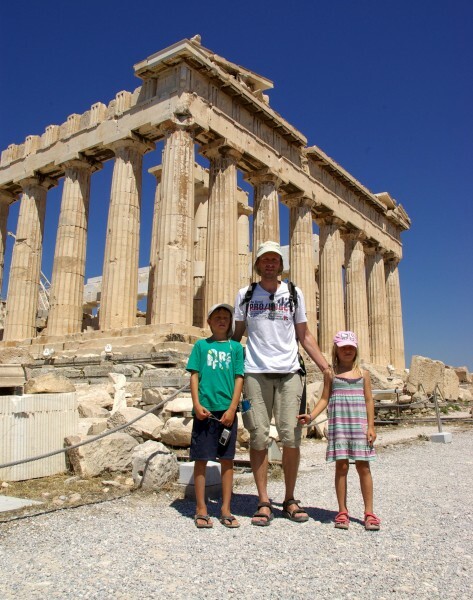 Even if you are not fond of history is visiting Acropolis in Athens must do for every traveler. By our opinion, of course 🙂 . You just can´t believe what they created back then if you don´t see it. Just beautiful. 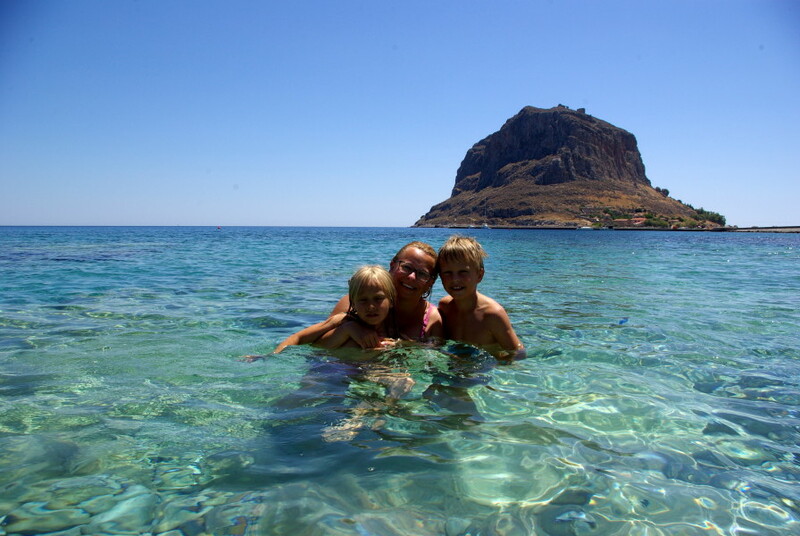 And crazy hot, so you should really go to Peloponnese out of summer season. 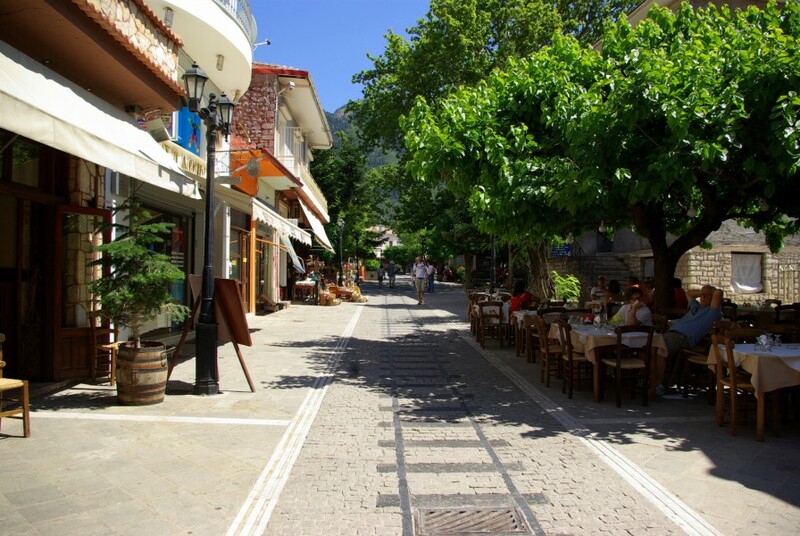 When you finish exploring Acropolis you should go to the old part of town, named Plaka. And no, there isn´t any filth, mess or danger. Just the best (Italian) ice cream and pleasure of cooling down with lemonade in the shade 🙂 . 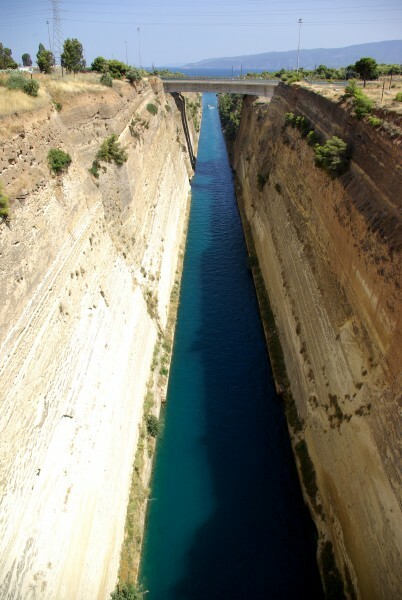 Continental Greece and Peloponnese are joined by Corinth Canal, where it is quite interesting observing big ships and little boats sailing through the canal. 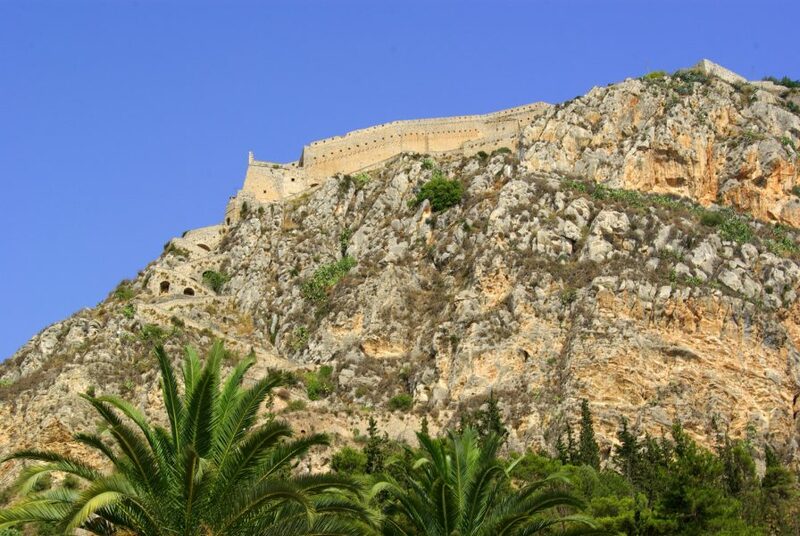 Nafplion is beautiful little town with even more beautiful fortress on the top of the hill. 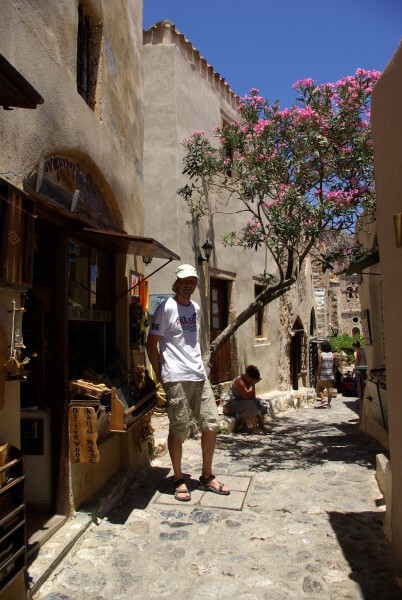 We didn´t want to sleep in Athens so we decided to stay the night in Nafplion, 2 hours from Athens. 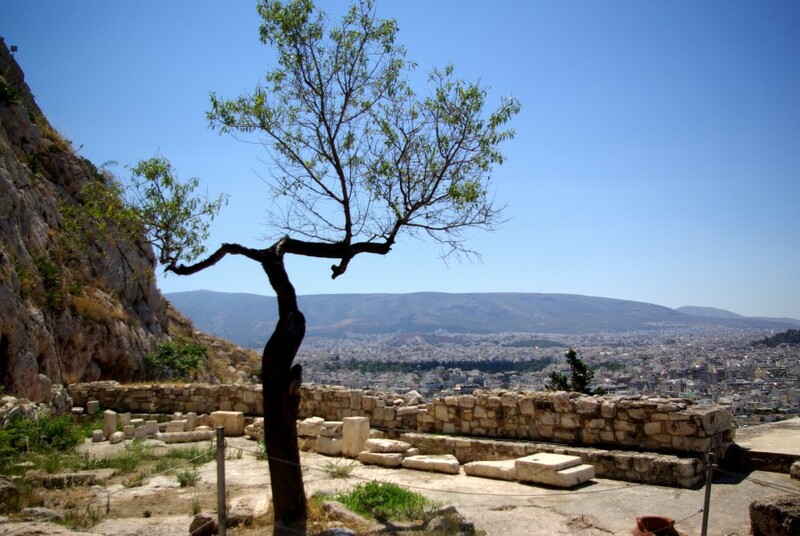 It is also great starting point to see Epidaurus, an antique theater protected by Unesco – but we didn´t go there. Maybe next time when we come to Peloponnese 🙂 . 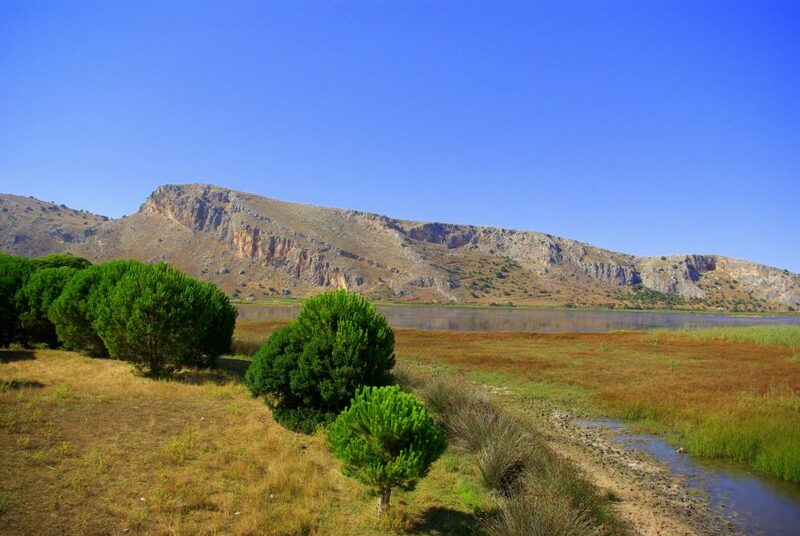 Now we are coming to the most beautiful part of Peloponnese, its south 🙂 . I don´t actually know what to say except that you should have enough time because it is wonderful. 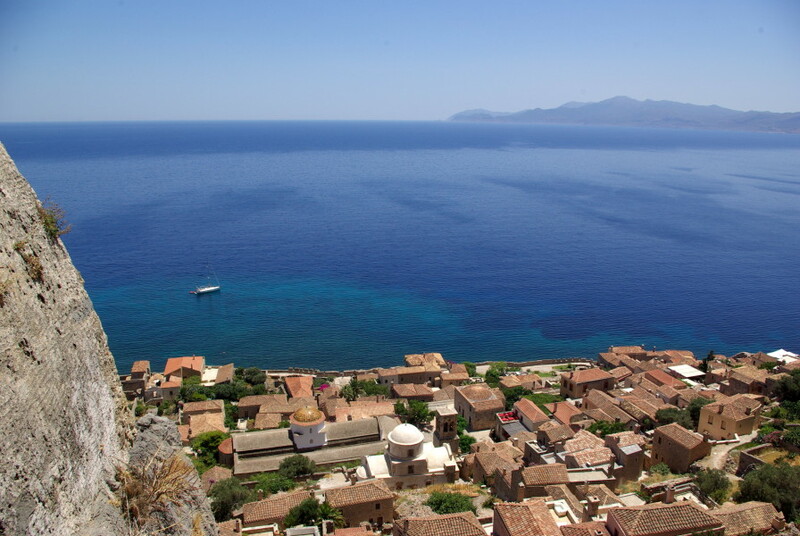 Monemvasia is hidden town on small mountainous island. Rocky, but alive. It isn´t crowded. 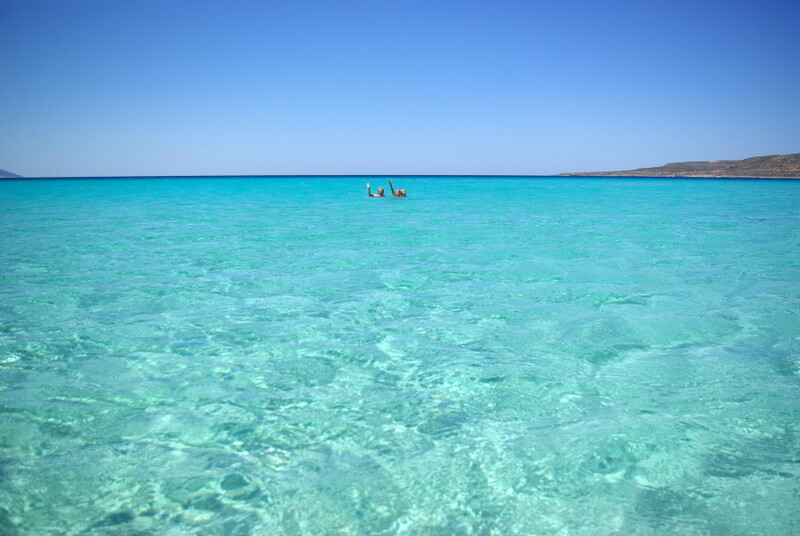 It is hot, but never minds, because there is crystal clear sea that cools you down. 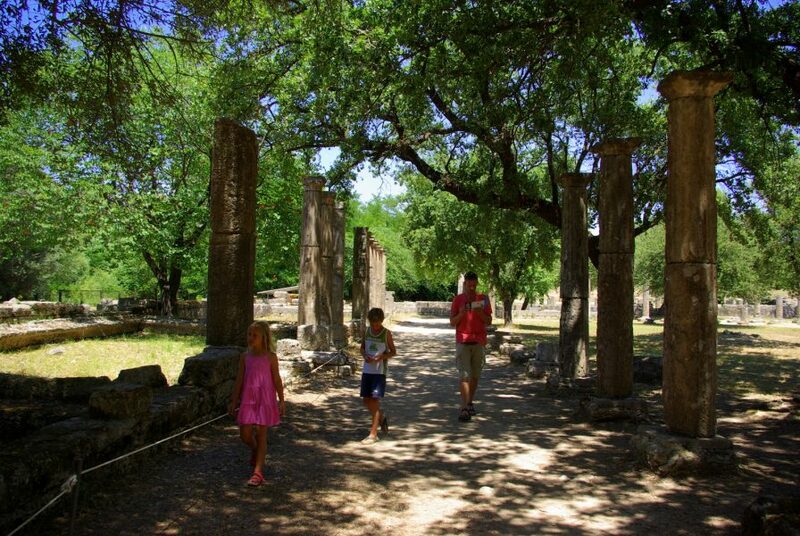 Here my illusions what Peloponnese really is and what isn´t, were shattered – thanks good that they were 🙂 . 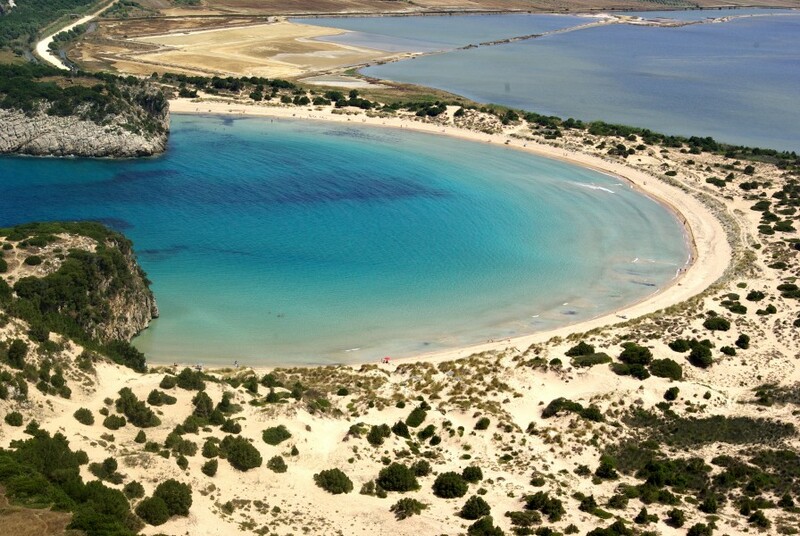 This small island on the edge of south west of Peloponnese is also called Greek Maldives. 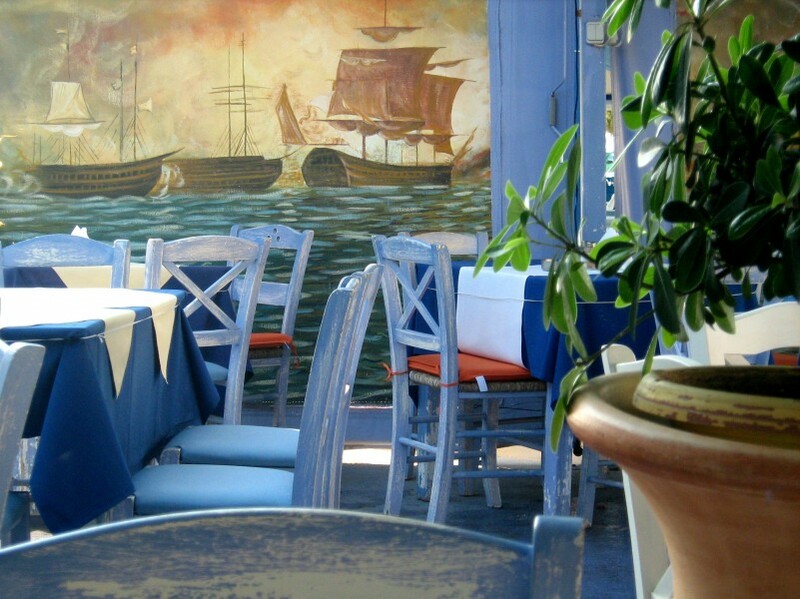 This is part – not only of Greece but of the world – that totally charmed us. 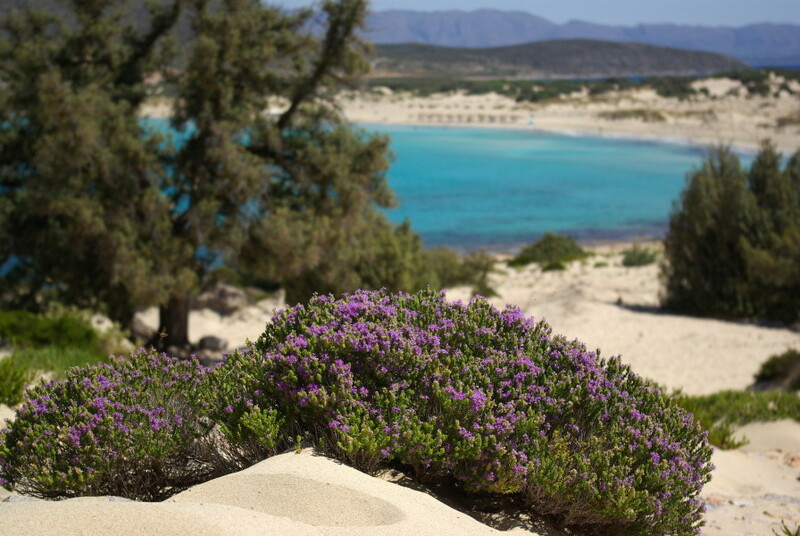 We saw lots of beautiful beaches and idyllic places near sea, but Elafonisos is by its beauty just second after Maldives – for real 🙂 . I am positively surprised that mass tourism hasn´t find it yet – luckily. There is one town, one camp and some rooms and apartments to rent. 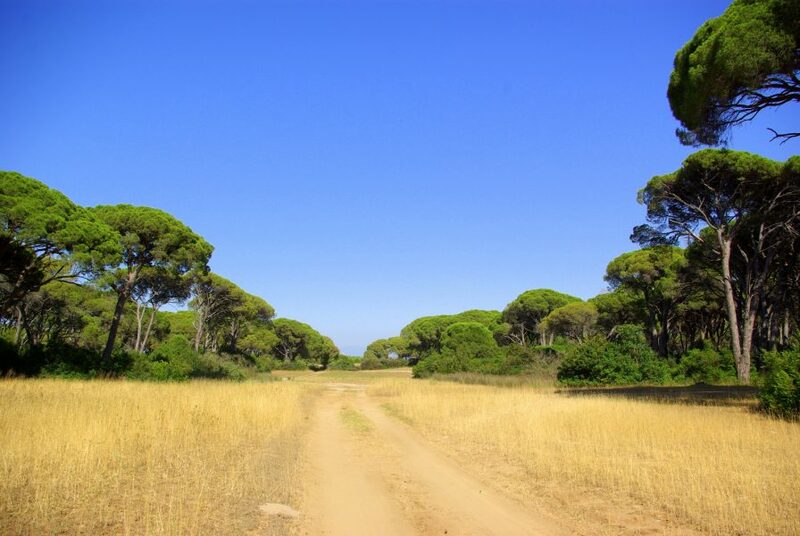 We paid 37 euros per night in camp for 4 persons with everything that goes along. That is incredibly cheap comparing with Croatia. Sometimes I have really hard time understanding people. They complain that they don´t have the money and opportunities to go anywhere, and then they go to our neighbouring country and spend 100 euros (or more) per night. When the real paradise is waiting for them just a step further, they would only have to invest some energy and everything would pay off 100 times. 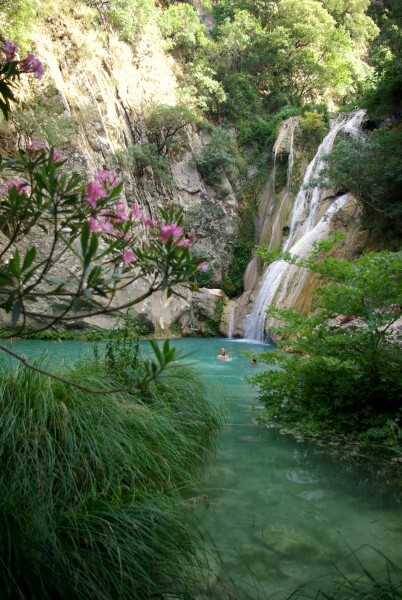 I know, people have different wishes and needs and I respect all those who’s summer break in Croatia is their thing. But from my experience and as I know from talking to other people, many of them want something else. I know, beside energy that you have to invest in new things (and people often do as less as possible), you have to overcome your fears too. But if my 60-years old mother and 70-years old mother-in-low were capable of doing it, so can someone else. 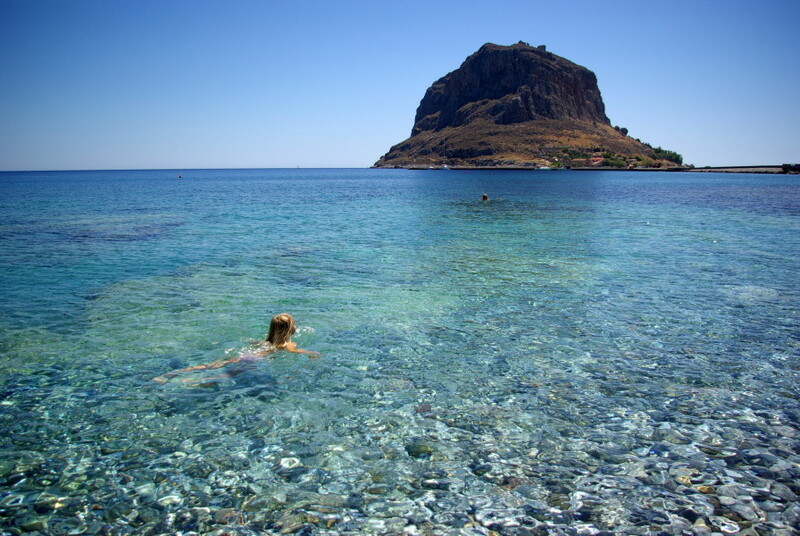 Greece is so near and is so beautiful. 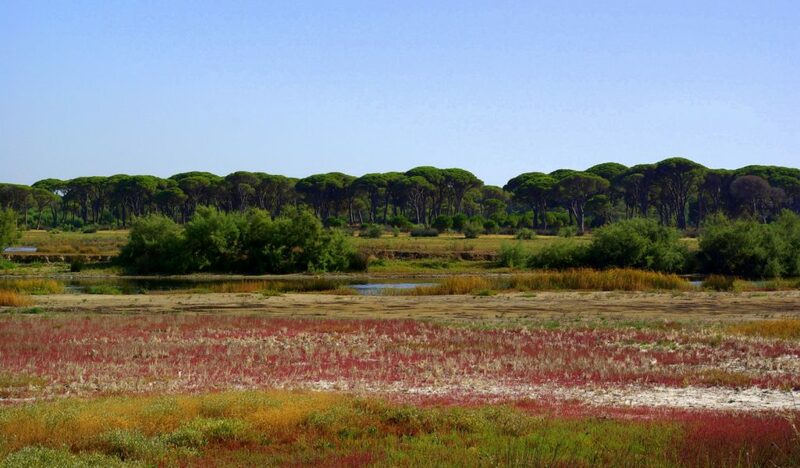 Elafonisos is real gem, not just in Greece but in the whole world. 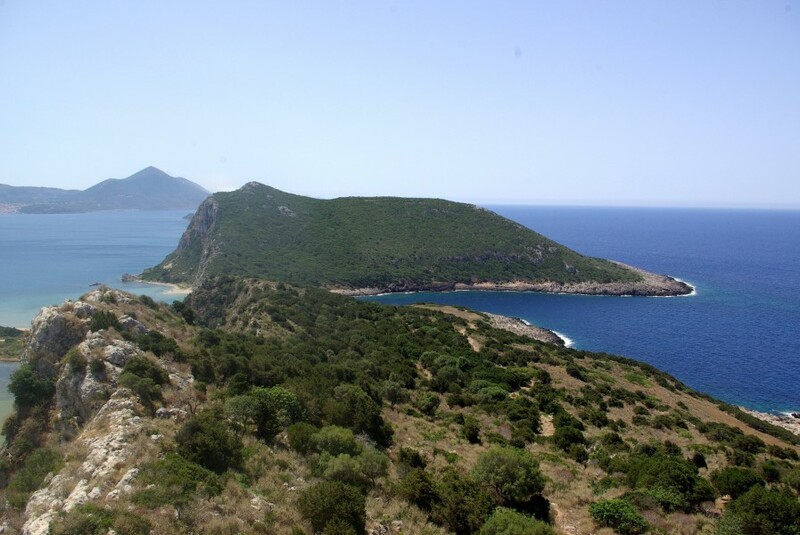 From Elafonisos we went further to south edge of Peloponnese, where we went to see Diros cave, because our friend recommended it as something special. 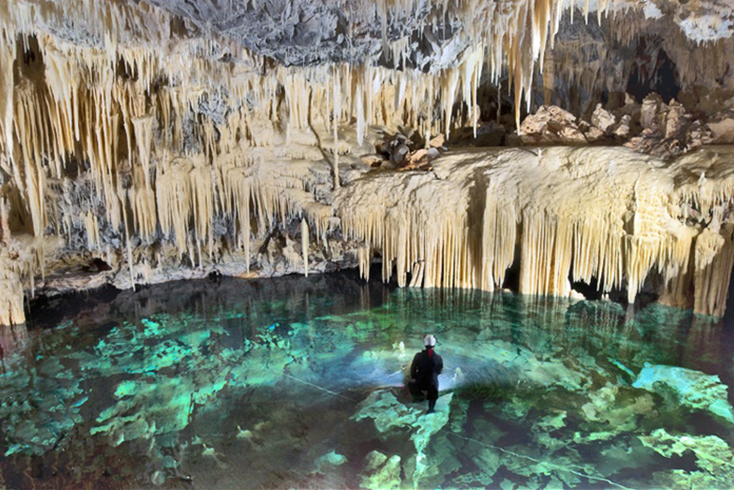 Those photos of the cave aren´t ours because we had some troubles with our photo, as it would want to say: don´t bother, just enjoy in the moment, that is the most important 🙂 . 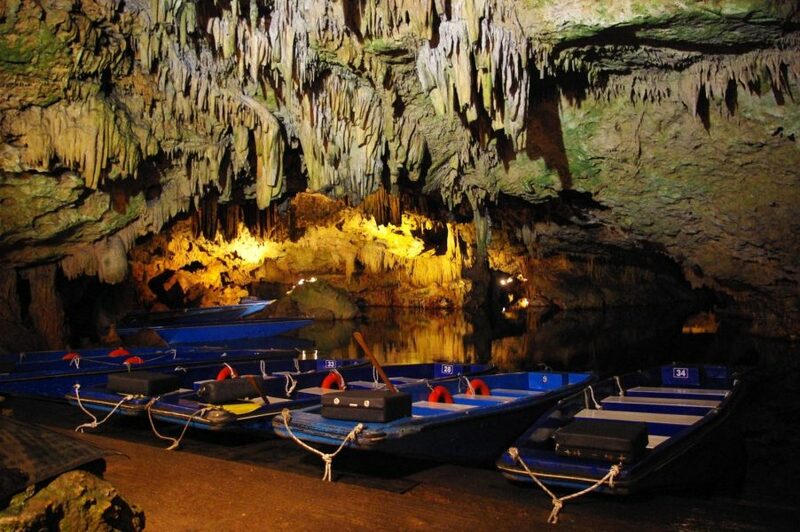 I don´t want it to sound too sappy but I will write it down anyway – that was the most beautiful cave we have ever seen and we have been to almost all Slovene caves that are beautiful as well. 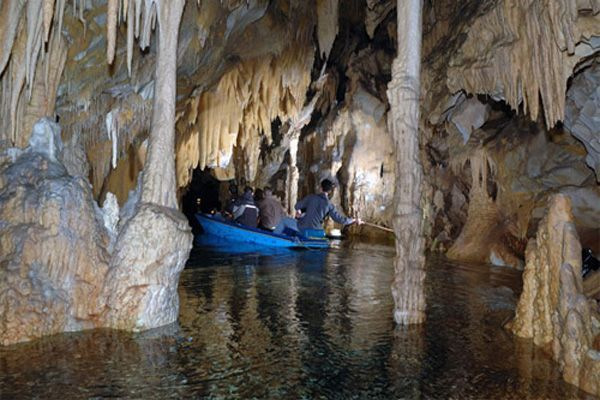 Through cave you go by boat, which glides quietly and slowly past all the dripstones, stalagmites, stalactites, through narrow tunnels and unusual shapes of the space. There time stops and the silence is the loudest. The silence and amazement, what nature can create. 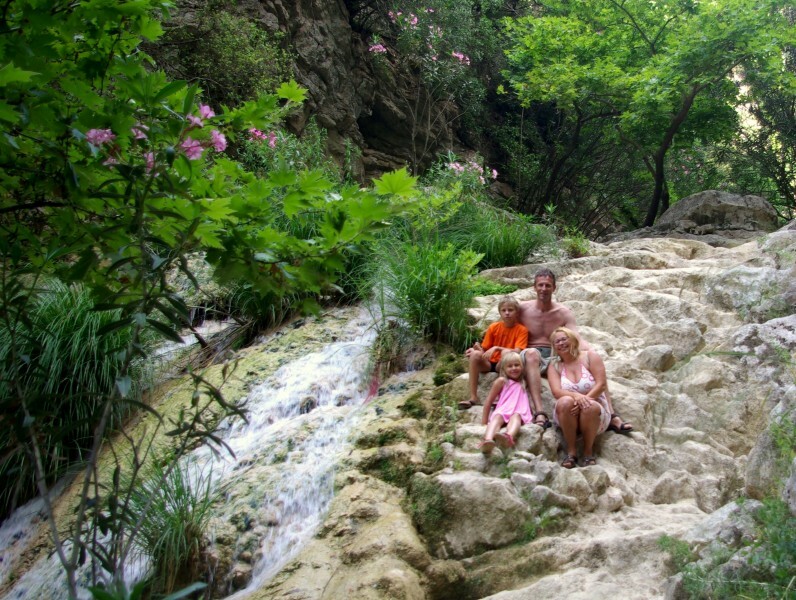 On our way from Diros cave to south west side of Peloponnese, Pilos, we stopped by wonderful Polylimnio waterfalls that were great cooling spot in summer heat. 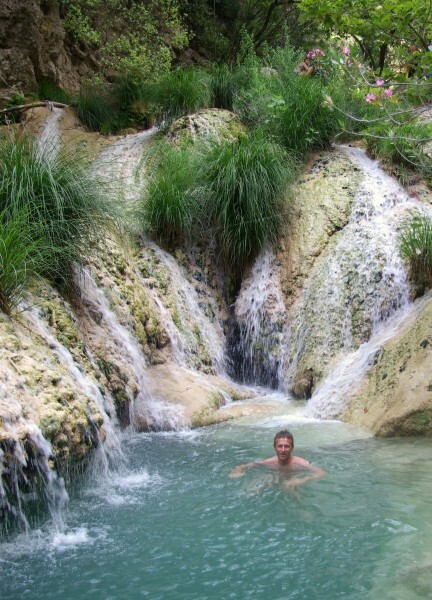 Even more – because we can bathe in its pools. Water isn´t warm 🙂 , but it is not ice cold as well, so don´t forget to take your swimsuits and a towel. 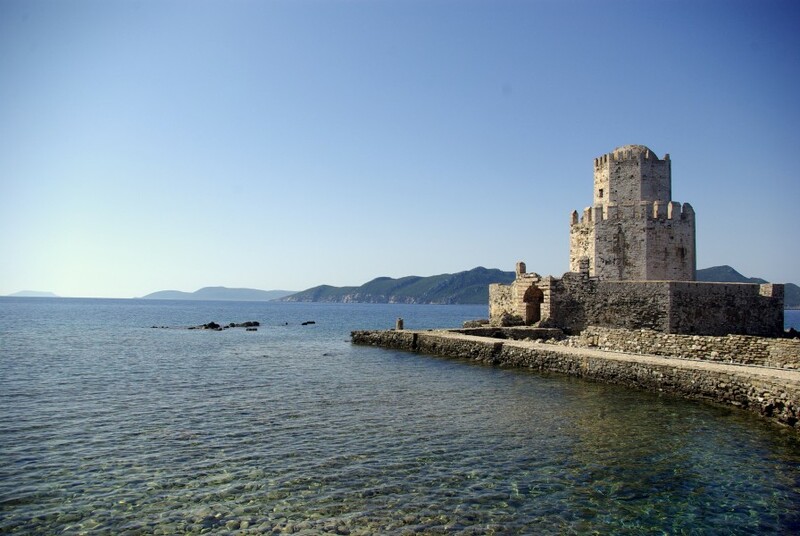 Pilos is little town by the sea on south west of Peloponnese. 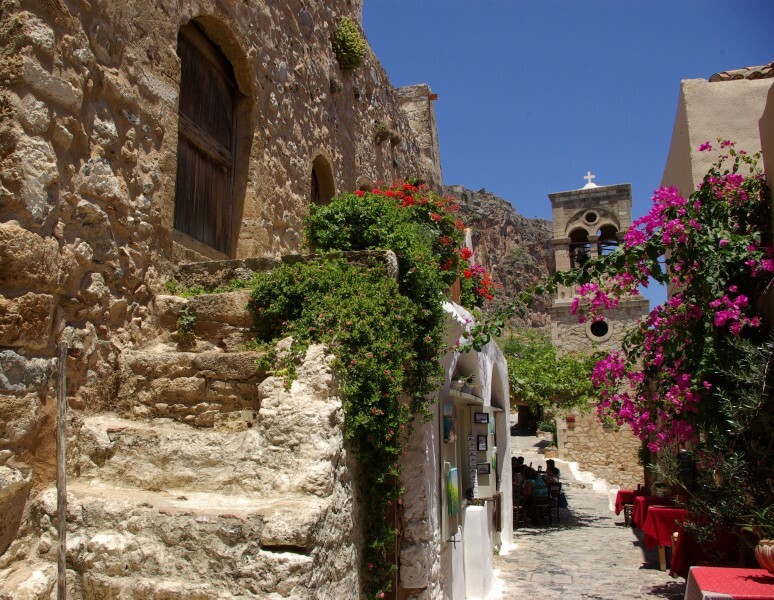 It is cute with many taverns and quite touristic. We can avoid crowd if we stay in one of many camps by the sea. 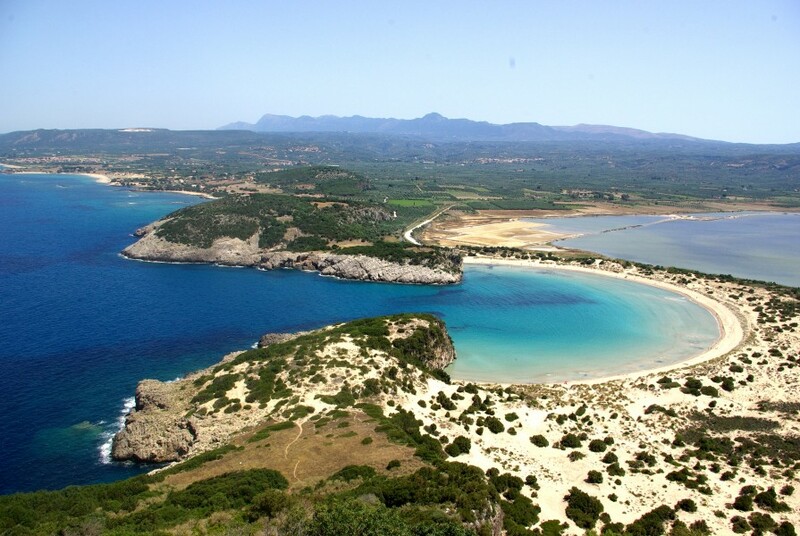 Pilos is great starting point to protected area of Voidokilia beach where turtles lay eggs in certain part of the year. 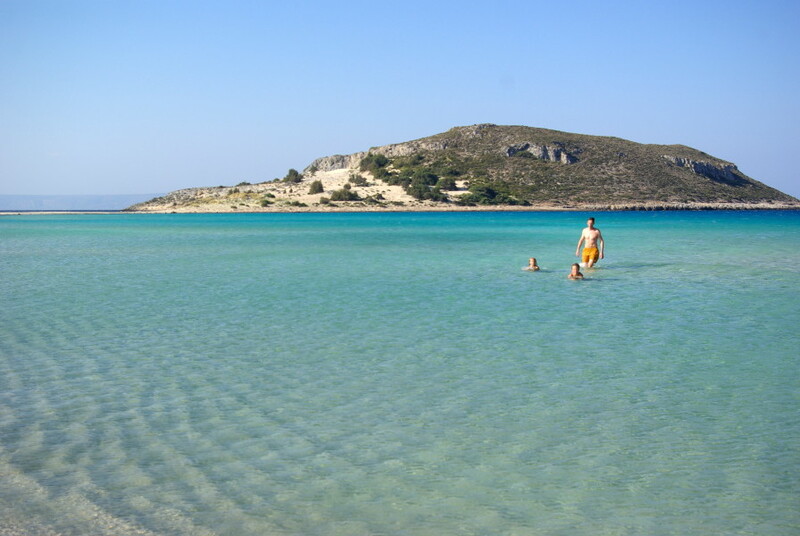 Voidokilia is wild and primary beautiful beach, without crowd and with a lot of privacy for those who like to bath and sunbathe without any cloths. 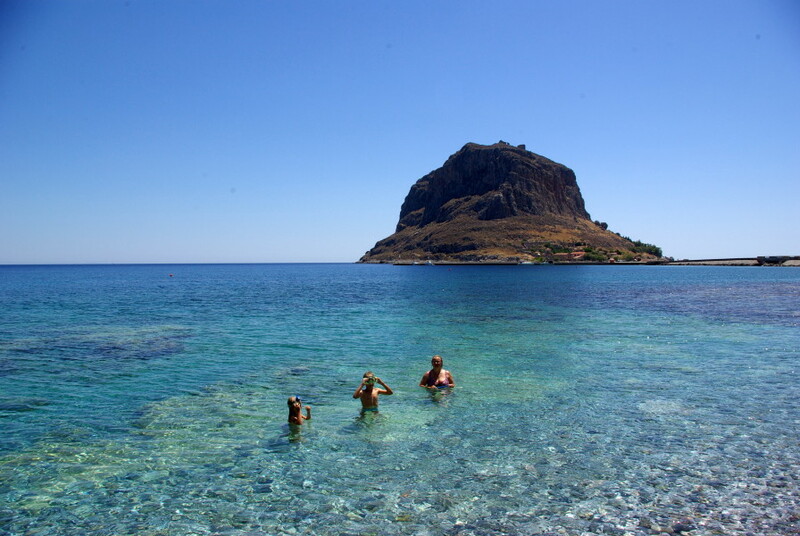 From the beach we can go to mini trekking (which is not so mini in summer heat 🙂 ) to Nestor cave and castle Navarino, from where is a great view to the bay and surrounding area. 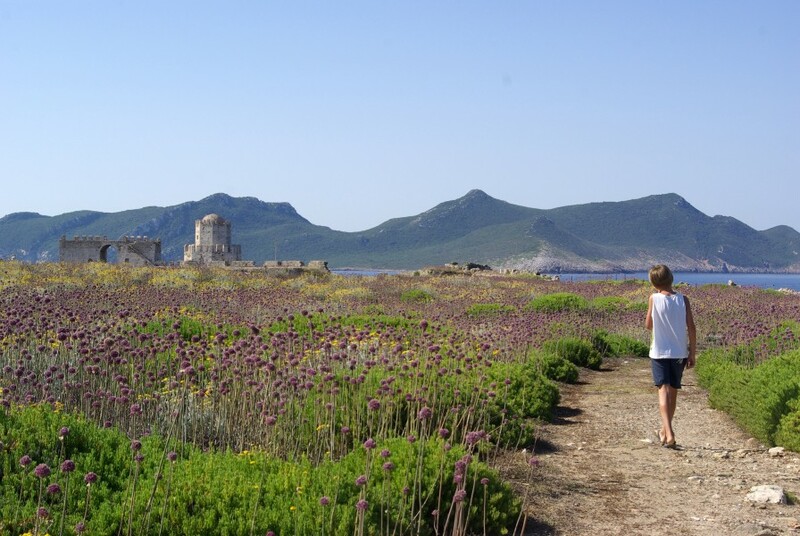 Cape Methoni is the edge of south west Peloponnese which hides beautiful castle, ideal for young and not so young explorers. 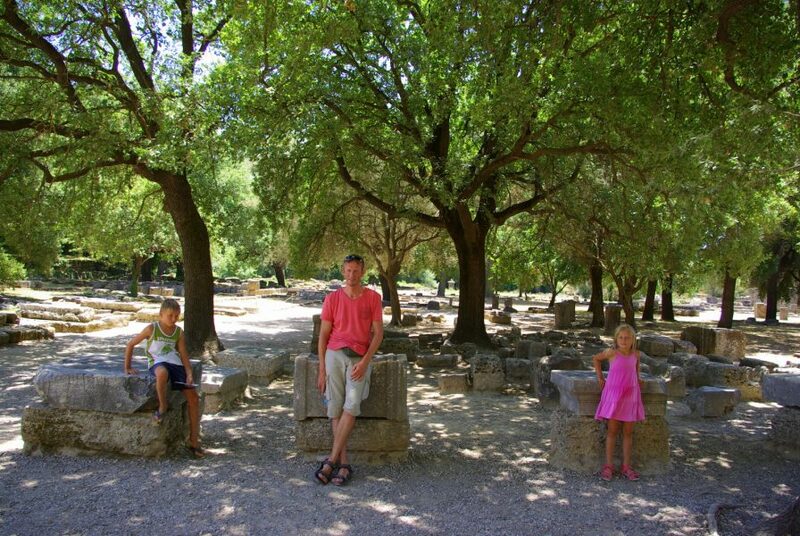 On our last day of Peloponnese journey we went to see antique Olympia. A little history didn´t do us harm, especially because before that we´ve seen so many natural beauties 🙂 . 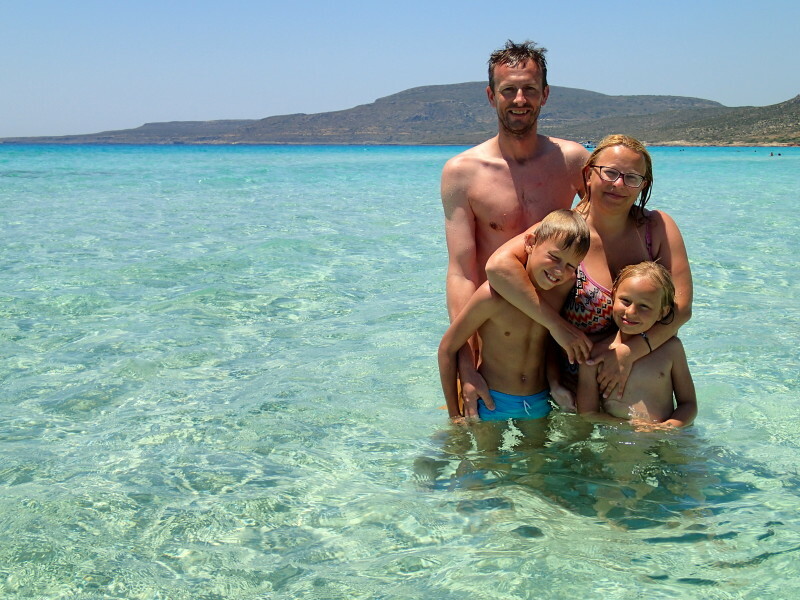 The last surprise that Peloponnese offered, was on the edge of south west in Prokopou lagoon, that we found by coincidence, because we had some time left before our ferry. Life is beautiful 🙂 .